The only way to get closer to the beach is to go for a swim. This 500 square foot, third floor beachfront condo, with rear westerly exposure, sleeps four, with one queen bed, sleeper sofa and it has one bathroom. You’ll find yourself going out to the balcony again and again to reassure yourself you’re not just imagining the postcard-perfect view. “Am I really here? Is the beach really just a stone’s throw away? Can I really hear the surf lapping up on the sand?” The answers are, yes, yes and yes. When you’re not taking in the view, you’ll be soaking up the luxurious experience inside. The spacious rooms, lit up by the sun, are tastefully filled with stylish furnishings that create a serene ambience. Floor-to-ceiling windows surround you with a panorama of ocean and sky. Air conditioning and overhead fans keep you in perfect comfort as you watch cable television or use the free-wifi. The fully appointed kitchen comes with everything you need, from a refrigerator, stove and microwave to a coffee maker and blender. The condo comes with all the amenities you could want. Take a refreshing dip in the community heated pool. Play some tennis or shuffleboard. Work out in the fully equipped fitness center. After your workout, reward your tired muscles by luxuriating in the hot tub. Speaking of luxuriating, can you think of a better backdrop for dinner than the sight of dolphins playing in the Gulf? That’s what you’ll see when you stop by Apollo’s very own restaurant, the Sunset Grille for Caribbean-style cuisine, tropical beverages and the sun setting on the horizon. Marco Island is the largest of Florida’s ten thousand islands, and it’s filled with ten thousand activities. Parasailing, fishing, shelling cruises, jet-ski and swamp buggy tours of the Everglades and so much more. If total relaxation is more your style, lay back on beaches of sugar white sand and cool off in the sparkling blue ocean. For the best shopping, visit Marco Walk Plaza, a premier open-air plaza filled with small boutiques specialty shops, salons, spas and plenty of fine dining options. The day will end where it began. On your balcony. Looking out at the ocean, proving to yourself it’s not just a dream. You’re really here. The ocean really is this close. You really can hear the surf. Marco Island Vacation Properties® specializes in vacation, seasonal, and annual rentals primarily on Marco Island. Since 1989, our family owned and operated rental agency has been introducing thousands of visitors to this tropical paradise. Unlike other agencies, Marco Island Vacation Properties® doesn’t only hand you the keys to the property and hope that you enjoy your stay, but truly strives to assist you to enjoy your stay by providing around-the-clock services. Our guest services representatives are eager to answer all of your questions and concerns relating to your stay. In addition, our recently developed mobile application is similar to having your own personal tour guide, since it provides you with all the information you will need to know before, during, and after your stay. Information, including, but not limited to, arrival tips, directions to the property, tips on how to enjoy the rental property and its amenities, and maps to restaurants, shopping, and attractions. 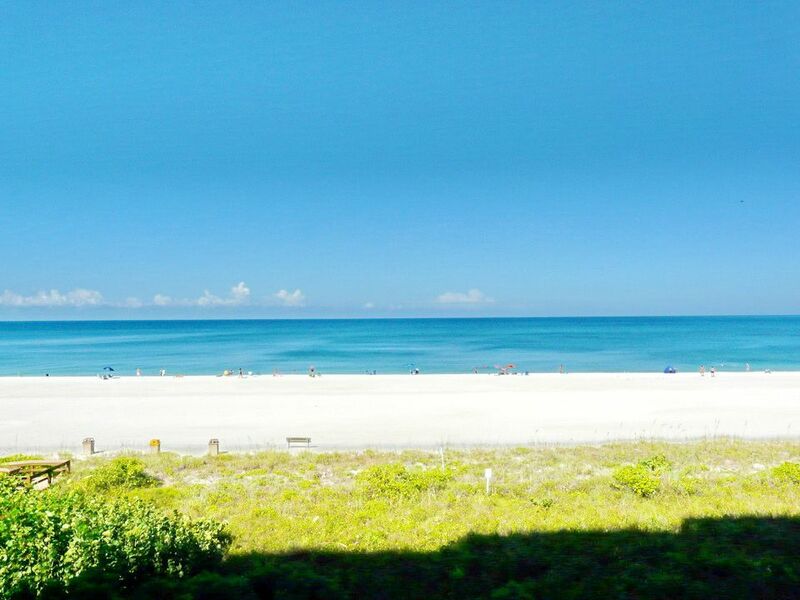 As you review this property and attempt to plan your Marco Island getaway, please do not hesitate to contact us for additional information and/or assistance to assure a memorable Marco Island vacation! We were completely satisfied with our rental experience from booking to departure. The condo was perfect for the two of us, clean, well maintained and in a great location. No complaints whatsoever. We love staying at the Apollo and 304 did not disappoint. Updated, clean and of course spectacular views. The sunsets were the best part of the vacation! Our rental unit was very clean, bed was comfortable and beach accessories were a must and welcome. We has an issue with the screen door to the deck and was swiftly addressed and fixed by the management company. Thank you! Only recommendation would be to have taller patio furniture to have an unobstructed view when seated. Wonderful view and excellent condo. Easy access to the beautiful beach. Great facilities, good security and very convenient parking. Nice pool area. The apartment was at the top and was beautiful. We enjoyed our days and evenings on the balcony, but unfortunate that it would take place in total darkness in the evening, due to the property's rules regarding the turtles as we could see that adjacent properties like had a little light.